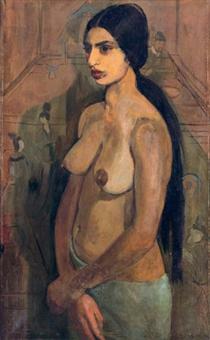 Amrita Sher-Gil (Punjabi: ਅੰਮ੍ਰਿਤਾ ਸ਼ੇਰਗਿੱਲ; 30 January 1913 – 5 December 1941) was an eminent Hungarian-Indian painter. 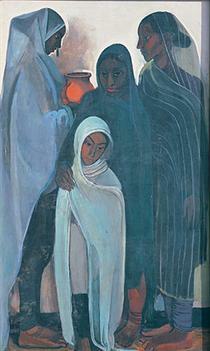 She has been called "one of the greatest avant-garde women artists of the early 20th century" and a "pioneer" in modern Indian art. 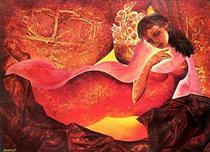 Drawn to painting at a young age, Sher-Gil started getting formal lessons in the art, at the age of eight. 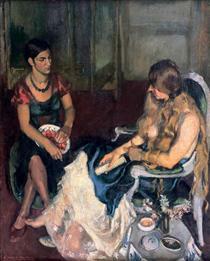 Sher-Gil first gained recognition at the age of 19, for her oil painting entitled Young Girls (1932). 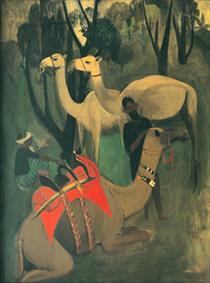 Sher-Gil traveled throughout her life to countries including Turkey, France, and India, deriving heavily from their art styles and cultures. 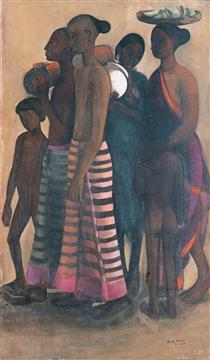 Sher-Gil is considered an important woman painter of 20th-century India, whose legacy stands on a level with that of the pioneers of Bengal Renaissance. She was also an avid reader and a pianist. 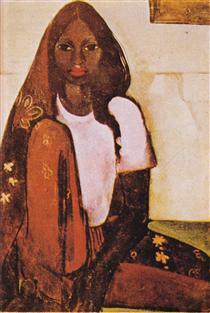 Sher-Gil's paintings are among the most expensive by Indian women painters today, although few acknowledged her work when she was alive. 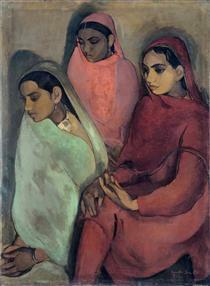 Amrita Sher-Gil was born on 30 January 1913 in Budapest, Hungary, to Umrao Singh Sher-Gil Majithia, a Sikh aristocrat and a scholar in Sanskrit and Persian, and Marie Antoniette Gottesmann, a Hungarian-Jewish opera singer who came from an affluent bourgeois family. 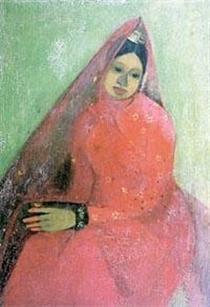 Her parents first met in 1912, while Marie Antoinette was visiting Lahore. 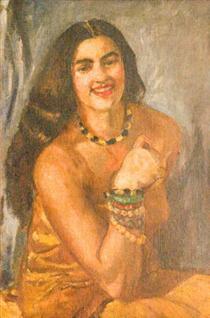 Her mother came to India as a companion of Princess Bamba Sutherland, the granddaughter of Maharaja Ranjit Singh. 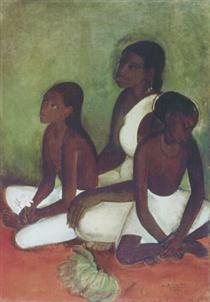 Sher-Gil was the elder of two daughters; her younger sister was Indira Sundaram (née Sher-Gil), born in March 1914), mother of the contemporary artist Vivan Sundaram. She spent most of early childhood in Budapest. She was the niece of Indologist Ervin Baktay. 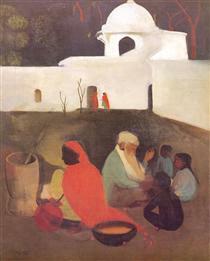 Baktay noticed Sher-Gil's artistic talents during his visit to Shimla in 1926 and was an advocate of Sher-Gil pursuing art. He guided her by critiquing her work and gave her an academic foundation to grow on. 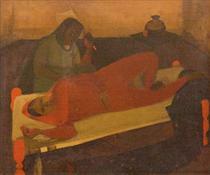 When she was a young girl she would paint the servants in her house, and get them to model for her. The memories of these models would eventually lead to her return to India. 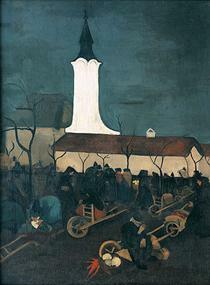 Her family faced financial problems in Hungary. In 1921, her family moved to Summer Hill, Shimla, India, and Sher-Gil soon began learning piano and violin. 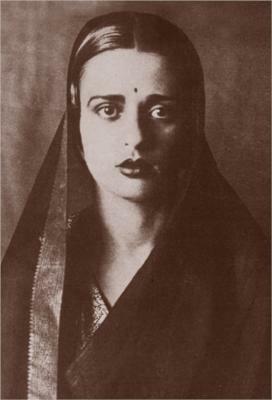 By age nine she along with her younger sister Indira were giving concerts and acting in plays at Shimla's Gaiety Theatre at Mall Road, Shimla. 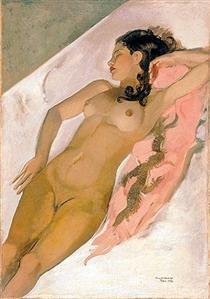 Though she was already painting since the age of five she formally started learning painting at age eight. Sher-Gil started getting formal lessons in the art by Major Whitmarsh, who was later replaced by Beven Pateman. 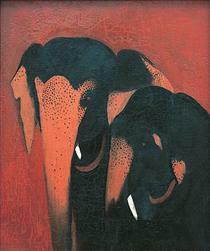 In Shimla Sher-Gil lived a relatively privileged lifestyle. As a child, she was expelled from her convent school for declaring herself an atheist. 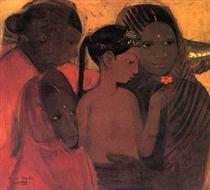 Fruit Vendors Amrita Sher-Gil ?